I'm guessing I've reached the end of the free period, as I'm done for the night. I'll try in the morning just in case. That said, I ended up at level 41 on Ninja. Duty Roulette was great for speeding things along, as FATE grinding alone would have killed me this time. Debating doing a month sub soon to finish up my run to 50 to get my AF on Ninja. Then I'll decide which of the three jobs I want to suffer through 2.1+ with. I can say this and be proud. DIE NIDHOGG! I finally beat Final Steps of Faith! It took me 3 tries with idiot randoms, one with some tired friends that were so tired they were not doing things right, and finally today. I called in some friends from a LS I'm in, Yelta called in some folks from her FC and we murdered it. I'm finally done with last update's missions ^^. Should be having news on 4.0 coming pretty soon and the most speculated rumored jobs are samurai and red mage. Haven't heard much about the third one though. You said that about dark knight. What level dark knight are you now? That's because they gated Dark Knight. I figure that will happen again, but one can only hope. Too bad October and November are the absolute worst months for me to have free time for games. I'm considering subscribing just to do All Saint's Wake and gear up a little, but I'm unlikely to have time to make much meaningful progress. Naaaaah, I can't. I have to work from home some this weekend and if I sub I'll get hooked and won't get my work done. I have no self control. And our November release date changed, making it likely I'll need to work an extra weekend in November that I wasn't expecting to. I was seriously considering it until Friday afternoon, though! This winter should be slow at work and I'll come back some time then. Hopefully 3.5 will coincide with a lull at work. Come back with me in Dec after FFXV. December is going to be slow at work, and I've already told my boss I wanted it to be a comp time month. For where I am in the game, though, it would make more sense to wait for 3.5 by that point. We'll see. An ancient prophecy finally comes to pass. Next they'll tell us the add-on system is finally done. SE opened the floodgates on supplying the community with features that have been begged for practically since 2.0. Matsuno is writing the script for it, even. guess its about time we started hopping dimensions ha. I'm screaming so loud right now. I'm hoping this eventually leads to bangaa being playable (but it won't, because we're not that lucky), or at least more Ivalice in general being used due to how big and expansive that world is. Also I may have a new main in Red Mage, after watching that DPS showcase. Also I may have a new main in Red Mage, after watching that DPS showcase. I'm sorry Cruise Chaser, I didn't know you were just trying to warn us about the coming flood of red mages that will muck up dps queues forever! 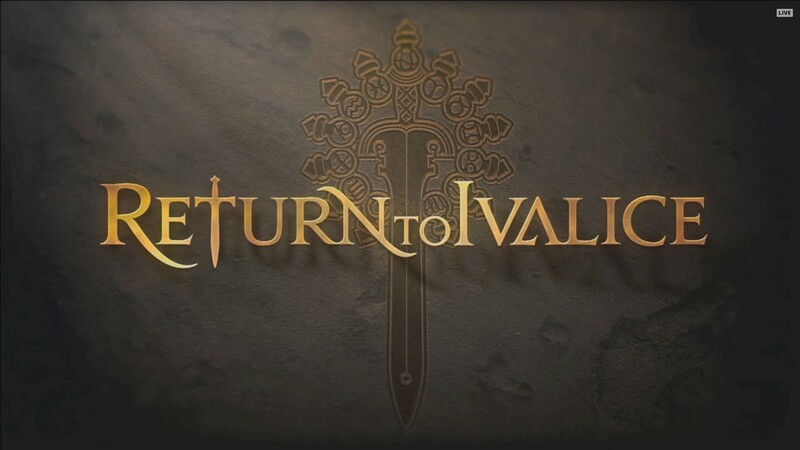 I'm definitely not looking forward to returning to Ivalice (always felt it was too depressing a world ever since my introduction to it in the original FFT), but I do look forward to seeing Red Mages become the new dragoon, dying from careless backflips or forward sword thrusts into AOEs. I can hear the cries now of "but my rotation supercedes fight mechanics." Waaaaah? All the 24 man raids have been a blast so far. I'm totally excited for the new one. I do however agree that 100% Red Mage's are going to be dying left and right due to fight mechanic animation locks. Soooooo much fun haha. I'm back in the game, resubbed for a month. Excited to play more, even if it's not as often as I'd like! Like I said on twitter I'm thinking of moving to the rpgamer server to check I'll with you guys. Mac, I'm just sorry you don't have enough time to make it to the Heavensward story. No joke, best final fantasy story ever since ff9 (or 10 if you think that's better). Heavensward is unreal. That Nero, what a guy. He's always on the level. Any words on a free weekend coming up? They just had a 4 day free login for the whole month of December. For the last couple of years there have consistently been free login periods in March, June, September, and December. I suppose the next one will be in March and overlap with the Easter event. I talked to my manager today and she said March-June is going to be busy at work. If I want to resub before 4.0 (and I do) it'll need to be soon. I'll probably resub after I finish FF15. Almost to 48 on Ninja, which is good considering how little I've been able to play so far. Finally did Darkhold, though I could have swore I'd already done it. Nothing was familiar. Which sub 50 dungeon is a castle? Cutter's? Ah yes. Months (years) of not doing this content gets confusing. I want to say you're close to Heavensward.... but now the true grind begins lol. How do you like ninja so far? The mudras reallllly throw me off. I'm so used to Dragoon and Monk rotations that Ninja didn't click for me. After getting to 50 with WAR and PLD, NIN has been fun, but confusing at times. Takes a while to adjust to mudras, but I really dig them. Haven't spent much time with other DPS jobs. 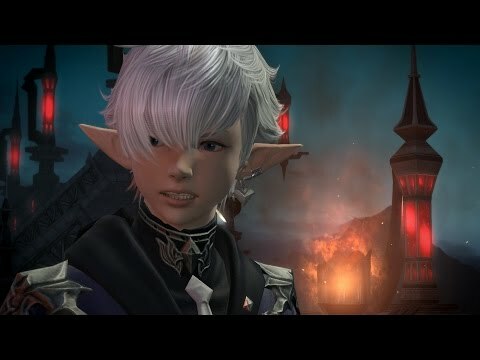 If you're running dungeons by choice or for fun (not a roulette, I mean), then I'll give a piece of advice: don't do Aurum Vale. It's STILL rough. All the other dungeons are cakewalks. If I remember right you didn't do AK or WP during 2.0. They've been nerfed and they're easy now.